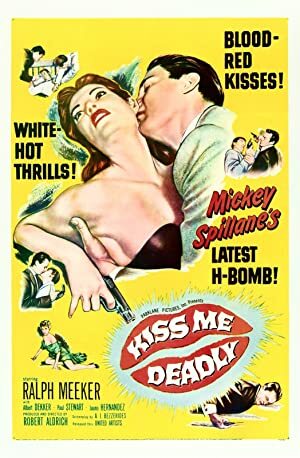 On this giddy episode, we visit Robert Aldrich’s groundbreaking Mickey Spillane adaptation, Kiss Me Deadly! We highly recommend you watch the film before listening to the episode, because we head straight for the spoiler room. This film is a little hard to find on the official streaming channels right now, but Criterion has it on a very nice DVD release, and there is usually an illicit copy available for free on YouTube. 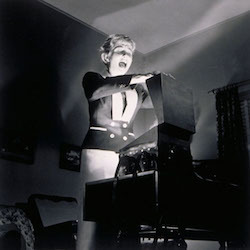 During the episode, Melissa mentions that Xanadu Cinema Pleasure Dome recently did two whole episodes encompassing the entire filmography of Robert Aldrich. So, if you want to learn more about Aldrich, here’s Part 1 and Part 2. Join us on June 7th for our episode on the tremendous French heist film, Rififi!